All 444C compressors feature a head assembly that includes a newly-developed, patents pending intercooler head. Additionally, they are equipped with a stainless steel braided leader hose with inline check valve assembly that serves to protect the compressor by eliminating the possibility of high amperage restarts. 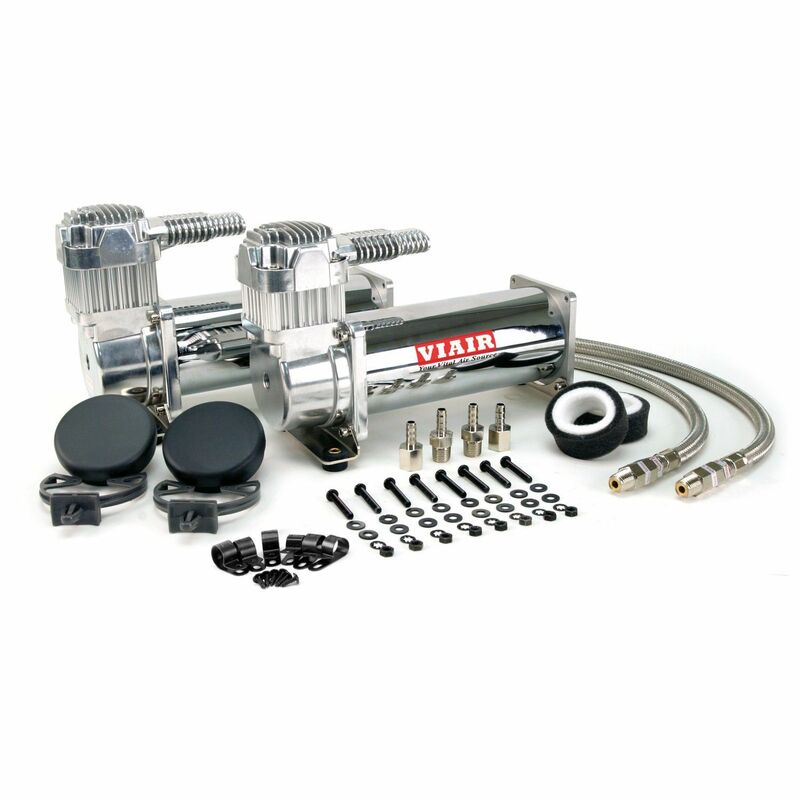 Dual Performance Value Packs include two of VIAIR’s most popular compressors, two heavy duty 40-amp relays (except 444C) and a cut-off pressure switch, to make installing a heavy duty onboard air system simple, and affordable. All Dual Packs come with remote mount filter assemblies and mounting hardware. Use thread sealant for proper installation. Teflon tape is not recommended. Properly sealed, recommended torque is 12 to 15 ft. lbs.